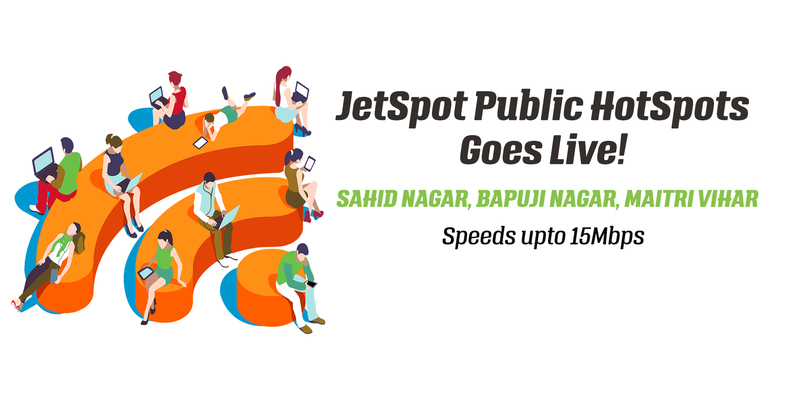 JetSpot with its motto of “Connecting Everyone” is now bent on proving it! We are going to deploy a lot of public Wi-Fi hotspots all around the city offering free internet with speeds upto 15Mbps. We want customers to have greater options for connecting when they’re out and about. To start with our deployment process, we have just completed our phase 1 of implementation and the three lucky spots are Maitri Vihar, Sahid Nagar and Bapuji Nagar. The hotspot network will expand to more than 15 other parts of the town in coming months. For the pilot, JetSpot has attached Wi-Fi hotspots to their towers. As the network expands beyond the trial, hotspots will also be placed in malls, public places and buildings too. We have huge towers in all 3 of the above areas. As long as you are close to our tower, you are going to get solid WiFi signals and might see very high speed internet. 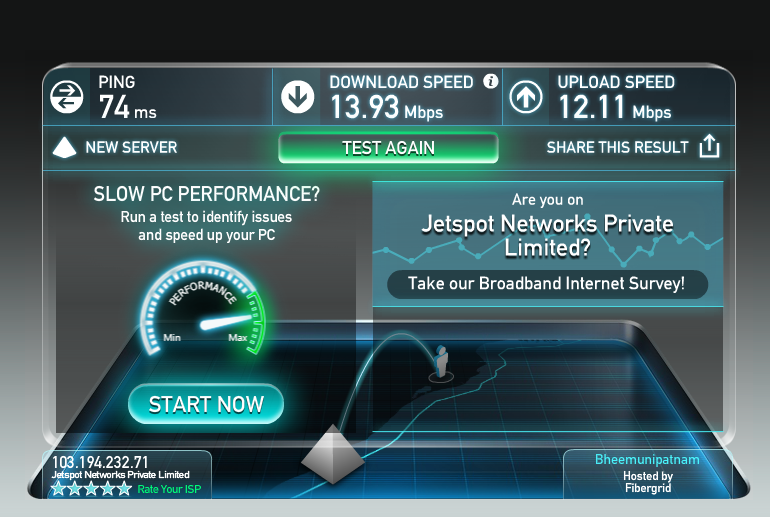 JetSpot Hotspot offers free high speed internet for 30 minutes and then its chargeable. Wherever you see it, simply click and you will land the login page. You will need to fill the form and then the voucher code is sent to your mobile number. Once you enter that code and verify, you will get connected. During our testing last week, we found great results. Here is the screenshot for speed testing on our iPhone and Macbook!